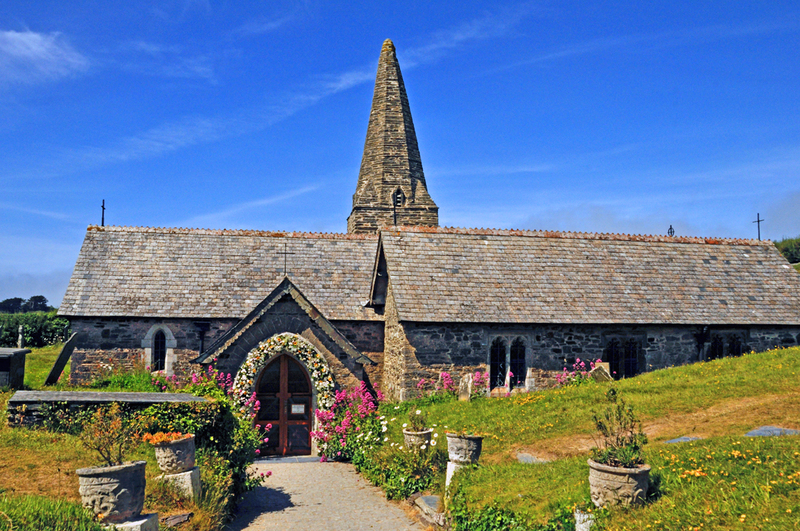 The church dates around the 12th Century, the church is situated in sand dunes East of Daymer bay on the River Camel estuary. The church is built in stone rubble with a slate roof. The church is said to lie on the site of a cave where Enodoc lived as a hermit. In the 16th Century the church was buried by sand and only the tower could be seen. 1864 the church was unearthed and the dunes were stabilized, today the church is surrounded by a golf course. The church is a grade 1 listed building, John Betijeman Poet laureate is buried here. One week and I will be in ghe UK, Simon. Hope to see some of the beautiful places in your wonderful photos and also take some of my own! Such a beautiful church, curious to think of it buried in sand. Lovely post, Simon.